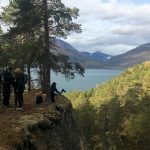 Field Notes Hybrid Matters is a bi-annual arts & science field laboratory organised in one of the northernmost corners of Finnish Lapland, Kilpisjärvi lake. 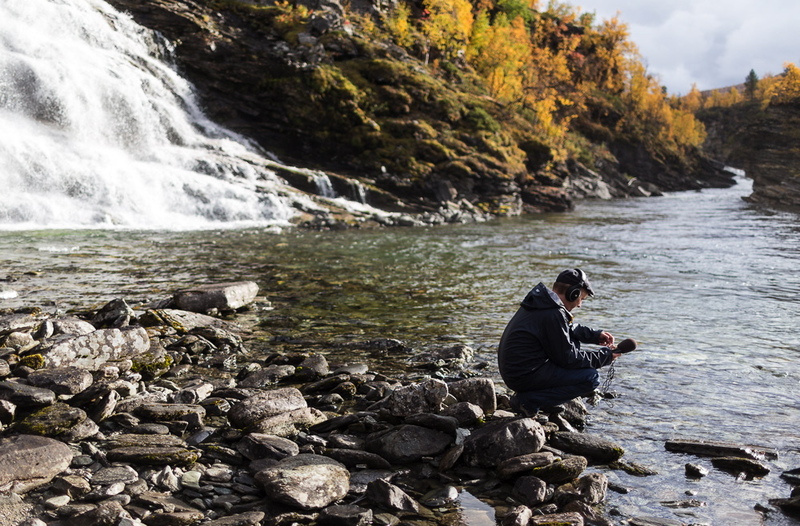 We asked Netta Norro, the coordinator for Changing Weathers, for her field notes. 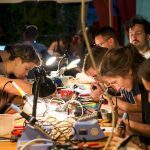 This year’s edition brought together 40 artists and scientists from 15 countries to work on pre-selected sub-themes. 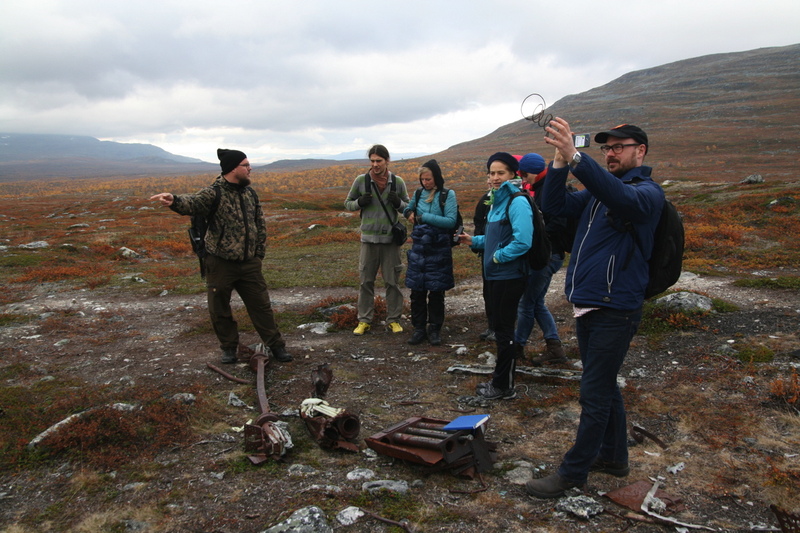 The field laboratory was organised by Bioartssociety at the Helsinki University Kilpisjärvi Biological Station, in collaboration with Changing Weathers project. Hybrid Matter is anything that has a physical and technological aspect and as such is a product of intentional and un-intentional human activity. People with smartphones, networks and trash are examples of hybrid matter. But also genetically altered or a synthetic organism are part of this category as they are of technological origin but biological in matter. Hybrid matter leads to the thought vehicle of hybrid ecology that helps us to expand and rethink our traditional concepts of environment. Our senses guide us through the world. 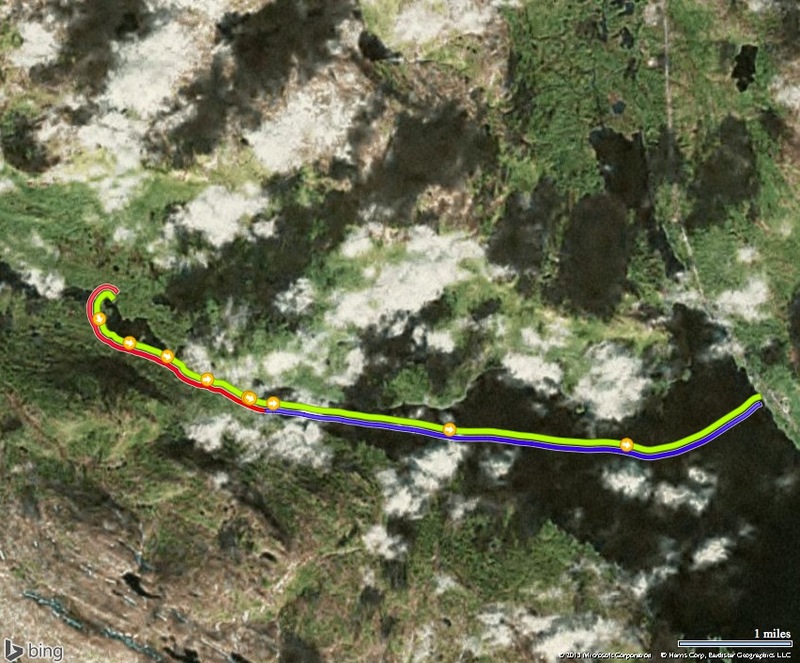 Complex ecological networked systems can be explored by employing intuition and technology. 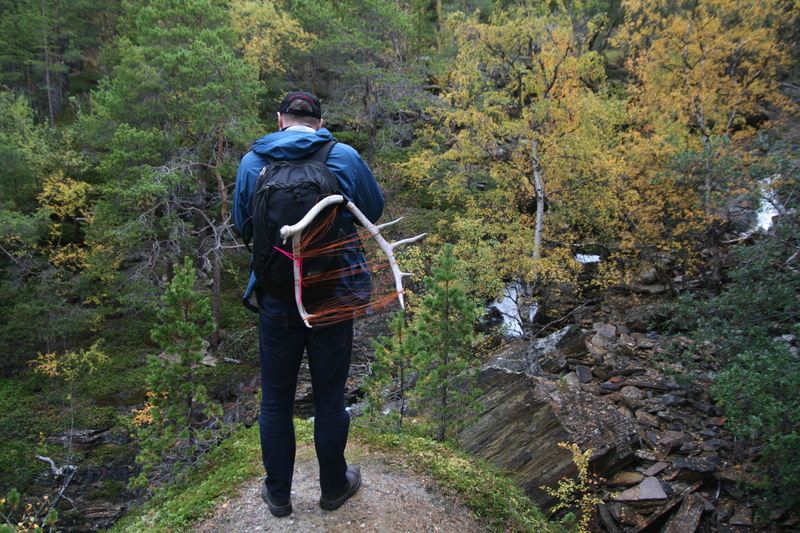 Seven Senses on the Land (SSOTL) group was hosted by Marko Peljhan and Matthew Biederman of the Arctic Perspective Initiative (API) together with Leena Valkeapää, whose doctoral dissertation played homage to the Sámi artist Nils-Aslak Valkeapää. 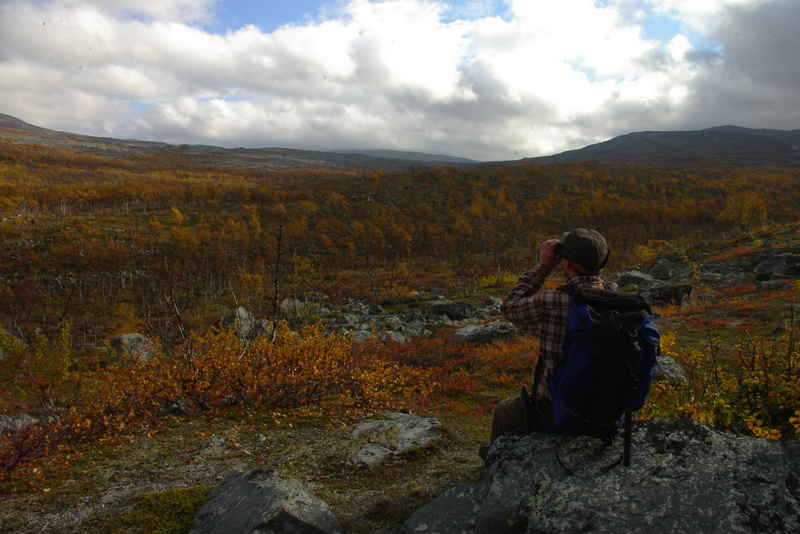 The group moved within the physical and mental borders of the landscape focusing specifically on the near-to-extinct nomadic reindeer herding culture of Finnish Lapland, augmented through technologies. 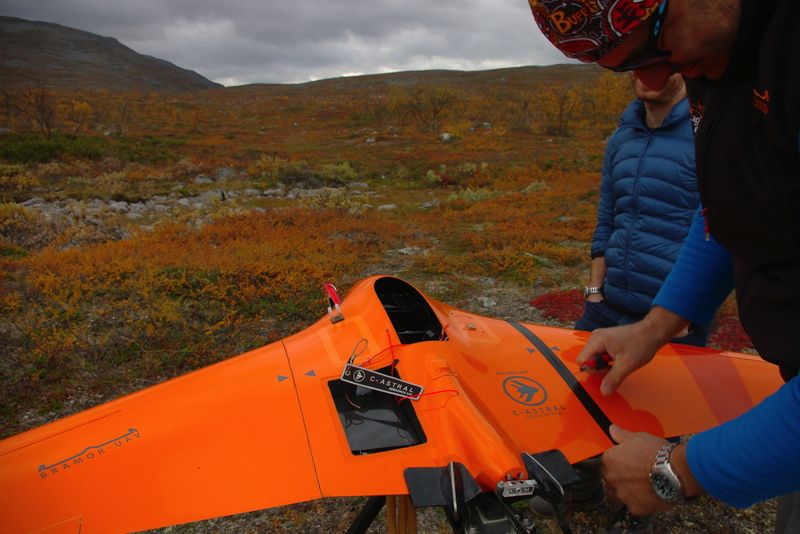 We need technological means to survive in the Arctic. 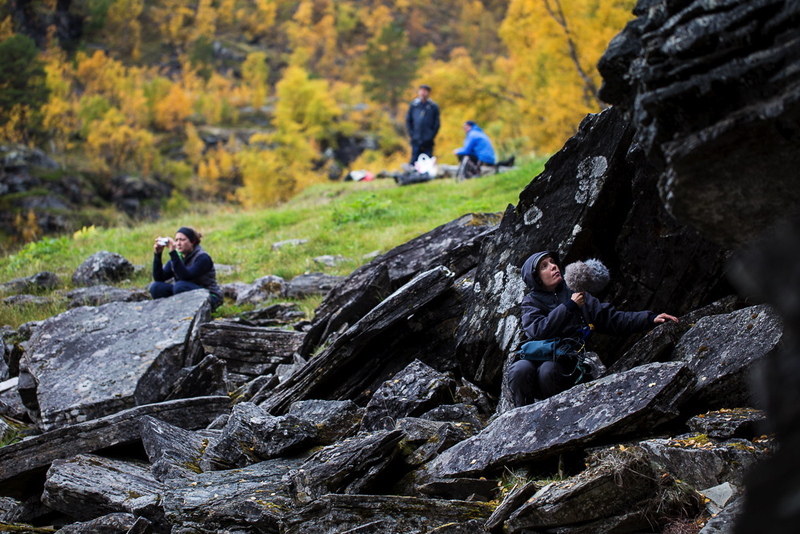 The group Encounters in a layered landscape group, hosted by artist-naturalist Antti Tenetz, mapped the dynamic system of landscape consisting of interconnect elements of biological, geological and technological origin. 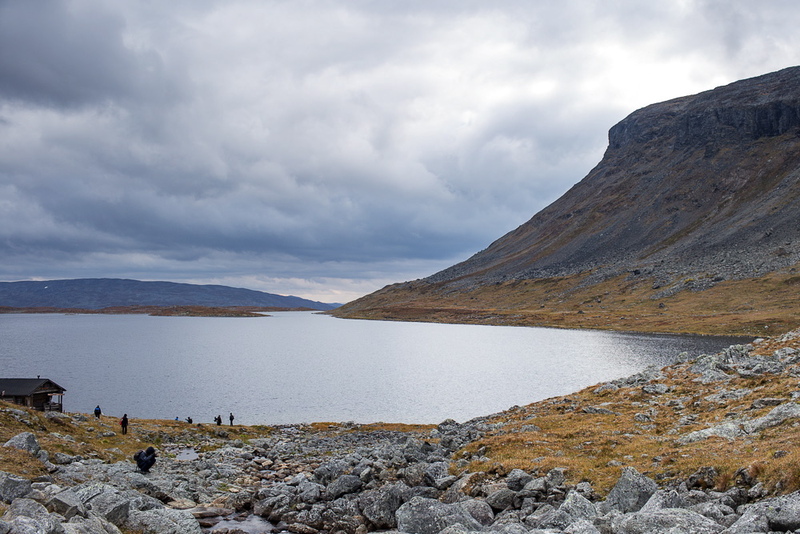 The hidden layers of Kilpisjärvi landscape were explored from Neolithic human dwelling grounds to the Second World War sites up to the present time. What makes the human-altered habitat attractive, or not, the PostNatural – Hybridization, Intention, and the Alteration of Living Things group went on to explore. PostNatural is the intentional alteration of an organism’s inherited trait, although there are also many unintentional alterations between humans and other life-forms. 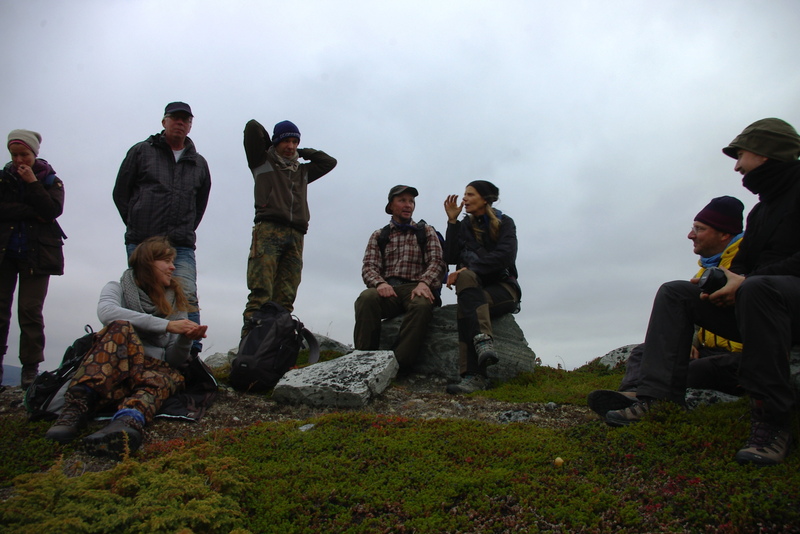 The group, hosted by Richard Pell and Lauren Allen of the Center for PostNatural History, worked on the terrain to document the organisms that have been altered by intentional practices and the unintentional consequences of habitat destruction, globalization and climate change. Can the landscape speak for itself? 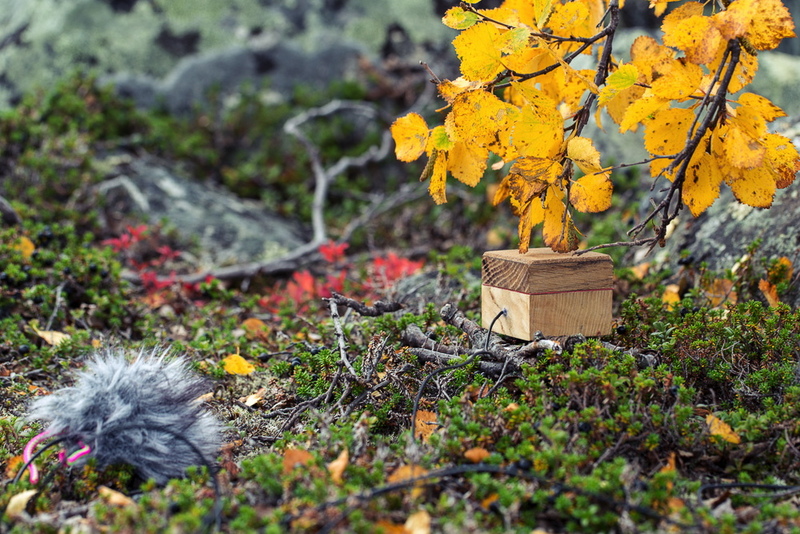 By planting themselves into the different raw landscapes of the sub-Arctic Kilpisjärvi area the group Sonic Wild Code, hosted by sound artist Antye Greie aka AGF, investigated the notions of coexistence, communication and interaction in a hybrid ecology. By listening to the land, communicating to the land, analyzing the codes of what was heard, the group enhanced respectful forms of co-existence with the landscape itself. 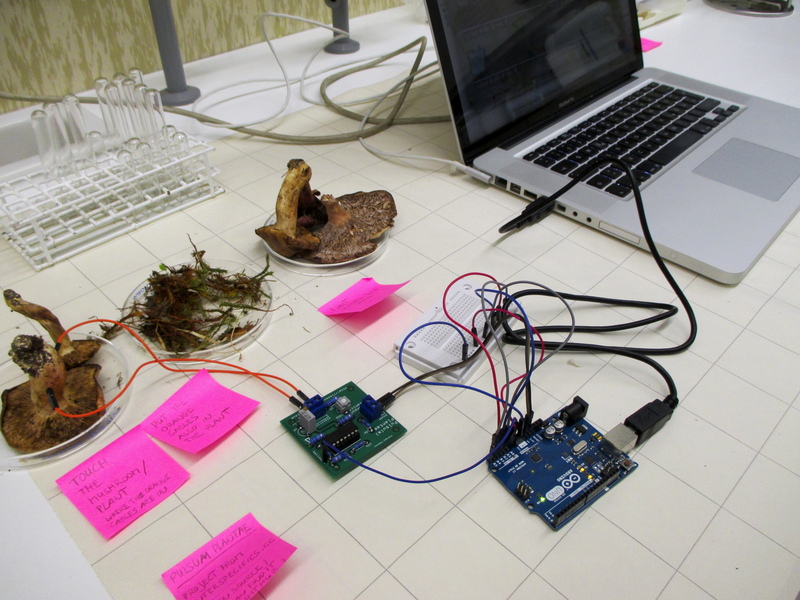 Mushroom sonification is based on Pulsum Plantae project focusing on bioelectrical activity readings from different types of plants. 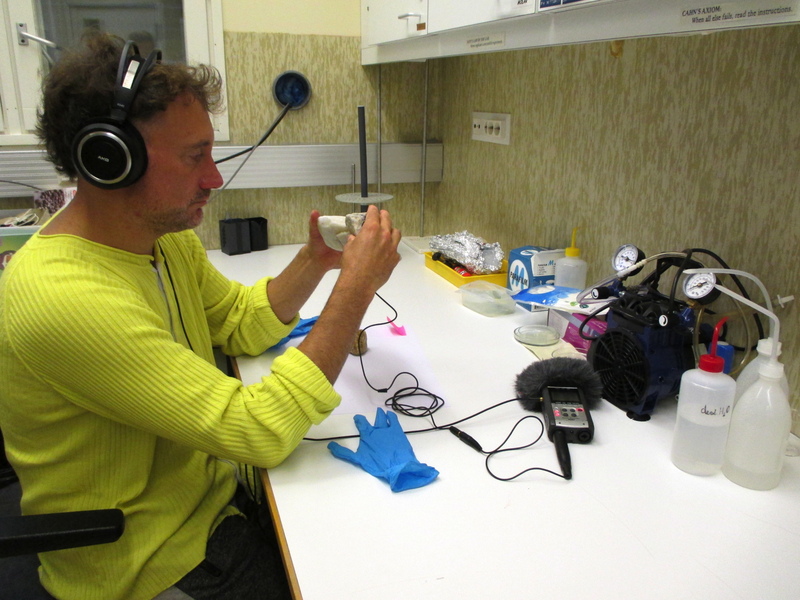 Using their perceptual skills as biosensors, amplifying the signals to be sent to a microcontroler and to work with them in a process of experimental sonification. You can build your own system by following this documentation. 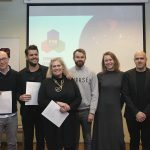 The Second Order group was hosted by Lea Schick, creative practices researcher from the IT University of Copenhagen. This group embedded their members into the other groups two-fold – critically looking into how the groups operate and communicate, and on the other hand introducing counter perspectives and employing interventions. Although there are already many immediate outcomes from the work week, it will be the next months or even years which will show what really happened in the nature so empty – yet so full. Netta Norro (Finland) is project manager at Zavod Projekt Atol (Slovenia), leader of the Changing Weathers european cooperation program.